1. Writer: Create news stories for publication on the ACM SIGGRAPH website. 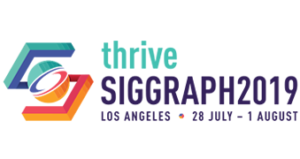 Topics include emerging technologies, industry happenings, achievements in visual effects and digital art, cutting-edge research, profiles of notable SIGGRAPH members and the latest buzz in computer graphics and interactive technology. Members of the ACM SIGGRAPH news team receive author bylines for their work and may be granted press passes to cover CG-related events. 2. Content Assistant: Assist in the transfer of content from archived SIGGRAPH web properties to the new website. Fill out the form below to express interest in one or both of these volunteer opportunities, and we’ll be in touch by email. Thank you for your interest in volunteering for ACM SIGGRAPH! Is there a specific new article you'd like to write?